. : FULL Beast race support :.
.: Frostfall 3.3.1+ support :.
.: Survival Mode support :. 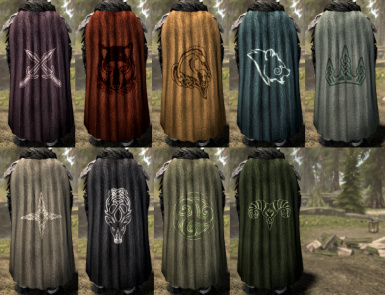 The Capes come in 8 variants: Red, Purple, Blue, Green, Yellow, Black, White and Leather. 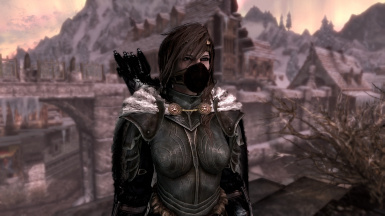 Hold Guard capes are available also. Get those emblazoned capes from the relevant holds. 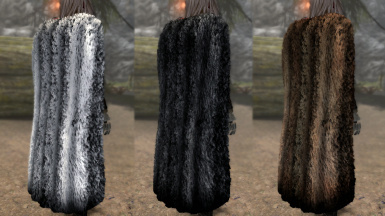 The Fur cloaks come in 5 variants: White, Black, Brown, Snowy Sabre and Vale Sabre. 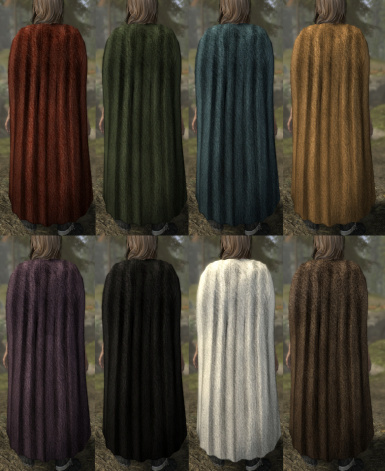 You can craft the 'Linen Cape' using any 'Tanning Rack' under the 'Hide' section. Download with Nexus Mod Manager and make sure its checked under the Mods tab. Or download manualy and extract to your Data folder in your Skyrim directory.